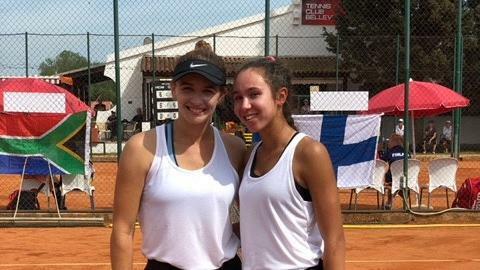 Team Malta at the Fed Cup, in Montenegro. Team Malta lost to South Africa 2-1 in the Group III, Europe/Africa, Zone B, Promotional play-off final after qualifying from their group with maximum wins. Malta started the encounter on a bright note as Francesca Curmi emerged victorious in rubber 1, 6-1, 6-0, against Katie Poluta. However, the Africans turned the tie to their favour with two wins in the next couple of rubbers. First, Chanel Simmonds defeated Elaine Genovese 6-1, 7-6 (7-1) before Simmonds joined Madrie Le Roux to beat Curmi and Genovese 6-1, 6-1 in the doubles.